Trojan Records was created in 1968 and is a British-based Jamaican music company specialising in Ska, Rocksteady and Reggae sounds. The name ‘Trojan’ comes from the Croydon-built Trojan truck that was used as Duke Reid’s sound system in Jamaica. 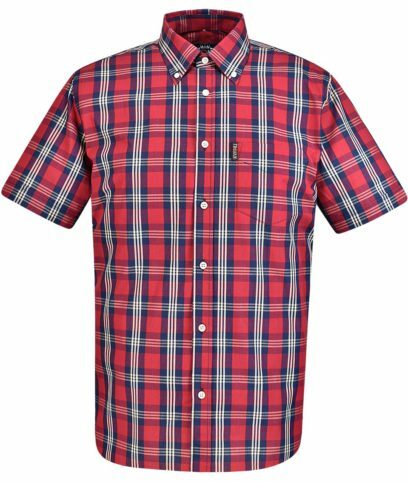 Trojan produce a quality range of clothing including polos, t-shirts, shirts and jeans. 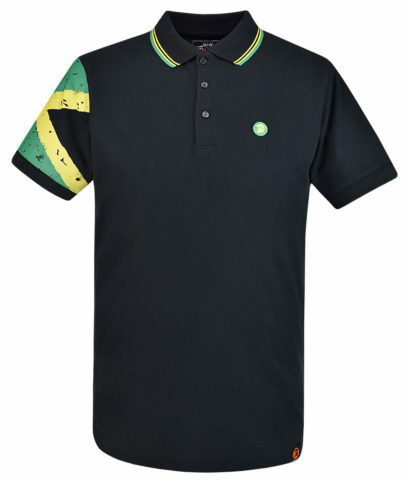 TC/1010 Polo shirt by Trojan Records made from 100% cotton in a regular fit. Red and white tipping on collar and cuffs. Embroidered Trojan emblem on left of chest and plain on back. 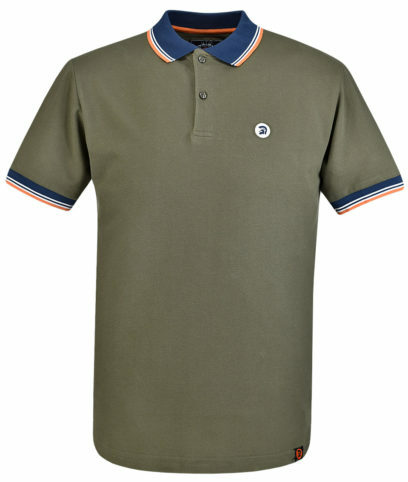 TR/8425 Polo shirt by Trojan Records made from 100% cotton in a regular fit. Green and yellow contrast tipping on collar. Embroidered Trojan emblem on left of chest and distressed Jamaica flag on right sleeve. Plain on back. TC/1011 Crew neck t-shirt by Trojan Records made from 100% cotton in a regular fit. Orange and white contrast stripes on collar and cuffs. Signature Trojan helmet logo motif on front and plain on back. 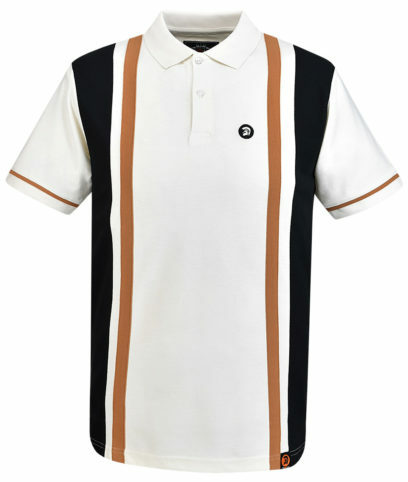 TC/1008 Polo shirt by Trojan Records made from 100% cotton in a regular fit. Contrast navy and orange tipped collar and cuffs. Embroidered Trojan emblem on left of chest and plain on back. 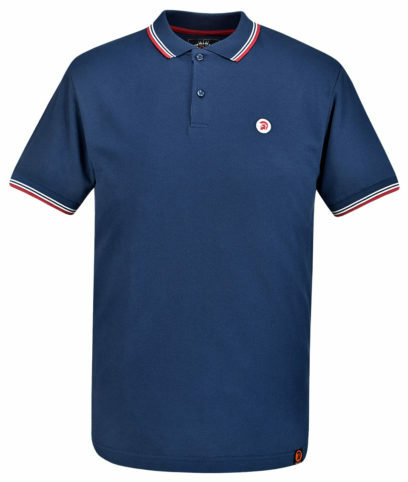 TC/1009 Polo shirt by Trojan Records made from 100% cotton in a regular fit. Contrast orange tipped collar and cuffs. Embroidered Trojan emblem on left of chest and plain on back. TR/8423 Polo shirt by Trojan Records made from 100% cotton in a regular fit. Golden tan and black vertical stripe panel front. Embroidered Trojan emblem on left of chest and plain on back. 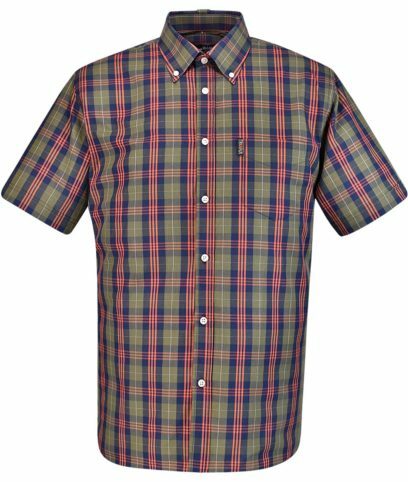 Short sleeve shirt by Trojan Records made from 100% cotton. 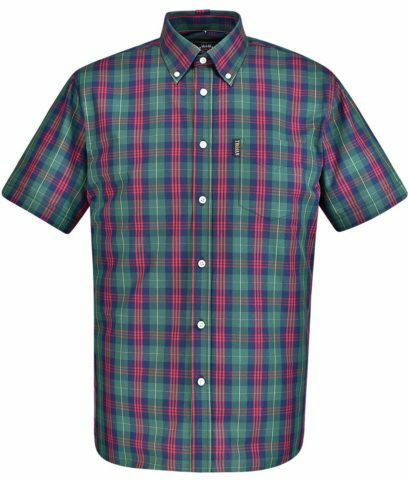 Check pattern with 3-finger button down collar and v-insert/double button detail. Left of chest front pocket with ‘Trojan’ tab label. Full length back placket with loop. 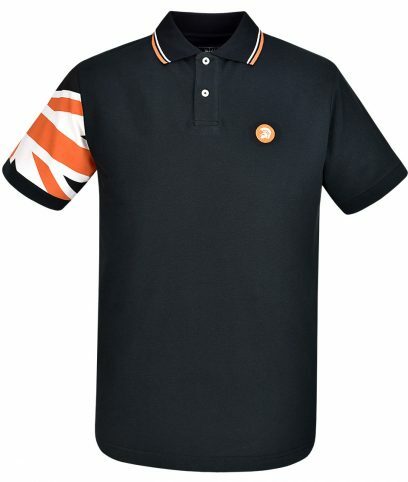 TR/8278 Polo shirt by Trojan Records made from 100% cotton in a regular fit. Orange and white contrast tipping on collar. Embroidered Trojan emblem on left of chest and union jack flag on right sleeve. 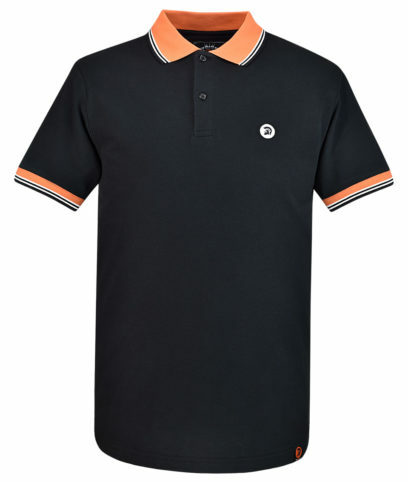 TR/8211 Polo shirt by Trojan Records made from 100% cotton in a regular fit. Red and white contrast tipping on collar. Embroidered Trojan emblem on left of chest and union jack flag on right sleeve. Plain on back. 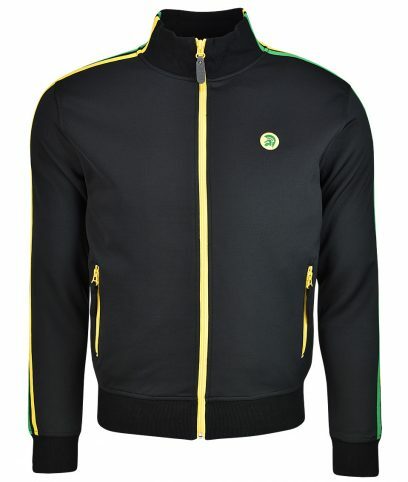 TR/8353 Track top by Trojan Records made from 90% cotton and 10% elastane in a regular fit. Yellow and green twin stripes with ribbed collar, cuffs and hem. Two zip pockets on front. Embroidered Trojan emblem on left of chest and plain on back.